Lathe tools are used on a lathe, which is a shaping machine with a rotating drive for turning a workpiece on its axis against the different tools. Lathes are used for shaping wood, metal, and other materials used in a wide range of applications. They’re also used for metal working, metal spinning, glass working, and woodworking. There is a wide range of tools that can be used on lathes such as cutters or cutting tools, carbide tipped tools, lathe turning tools, lathe parting off tools and drill bits. A facing/turning tool is going to be an essential part of your lathe experience. You need to have access to this tool when you want to shorten how long the stock is on an item. It is also capable of making a smaller diameter, so you can see how this is going to come in handy for various different projects. You need to have the right tools when you’re going to do a job, and this is going to be a staple for anyone who uses a lathe for cutting. This facing tool is going to be really simple to install on your lathe. Whether you’re making use of a turret lathe, or if you have an engine or bench lathe, this will be able to work perfectly. It will fit right on, and you will be able to put all of your cutting tools into this without a problem. Doing precision work is much simpler when you have a reliable facing/turning tool on your lathe. This unit here is made out of steel as well, so you can tell that it is going to stand up to regular use. This is a tool that is going to come in handy so many times over the years. It is one of the most crucial tools for you to purchase for your lathe. This is a very affordable tool as well, so you won’t have any trouble adding it to your collection. Boring bars will be useful when you need to make a hole bigger than it already is. If you need to make room for larger screws in a piece you are building, or if you want a larger hole for any other reason, this is going to be what you turn to. A boring bar can easily bore into the hole that is present and will widen the area for you. It is important to understand that there does need to be a hole already present in order for this tool to work properly. Regardless, this is going to be important to have around when you are in need. This can make your life a lot easier when you are building a table or something else that is going to require holes in order to fit together properly. There will be times when you need the holes to be bigger, and using the boring bar will make the process very quick. You may not use this as often as some of the other lathe tools, but it will be useful to you when the time is right. Thankfully, it won’t cost you too much money to get yourself one of these handy tools. You can purchase a boring bar set at a very reasonable price and then make use of it whenever you are in need. There are different boring bar tips that will be useful when you need a specific size. Take this into account, and make sure that you have the right sizes available to you. Chamfering tools are often used when someone needs to break off an edge on a piece. It is also useful for making a chamfer on the stock’s edge, so you will be able to make this job a lot easier by owning one of these tools. The drill bits on your chamfering tool should be heavy duty in order to perform their job well. It is a good idea to buy a very powerful set to make the task as simple as it can be. This chamfering tool is made out of solid 42 chromium molybdenum, so it will work well for your purposes. This is going to be a good buy for you when you’re in need of one of these tools. It is cost-effective, and you will have the ability to use this tool for a very long time. Buying something that is really durable is always going to benefit you because you can rely on these tools for many years. Finding chamfering tools won’t be hard, and you might even wind up wanting to purchase one in a pack with other lathe tools. You can purchase lathe toolkits that will feature chamfering tools inside of them. When you’re in need of more than one lathe tool, this can be an effective way to get multiple things that you need. Buying chamfering tools by themselves is another great way to take care of your needs, so just take your time to make the right decision. Knurling tools are used when people are crafting knobs of some sort. They can be used for other purposes as well, but knobs need a knurling tool to be crafted properly. A knurling tool allows you to properly grip a knob so that you can perform the needed work on it. You will want to have access to a knurling tool for those situations where increased grip is necessary to safely and properly finish a task. You can adjust this knurling tool to suit your needs, making doing your project a lot simpler. 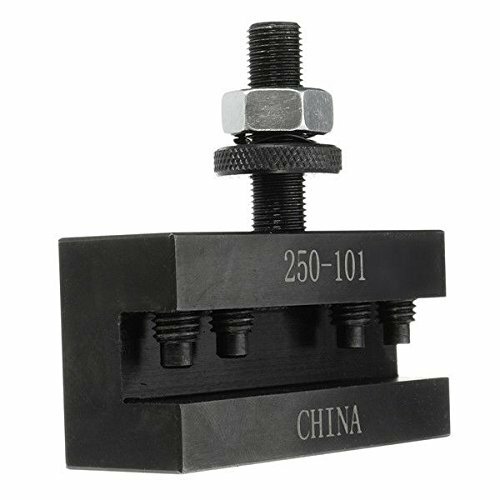 These knurling tools aren’t something that you will find everywhere very easily, so you may have to search for one. Getting a knurling tool online will be very simple, but you may not find it at your local hardware store if they don’t have a very robust inventory. This can be inconvenient for some people, but if you look around, it shouldn’t take you too long to track one down. This will install very easily onto your lathe, so you won’t have to worry about it being an arduous process. The knurling tool is going to be able to hold items well for you without putting any undue stress on your lathe. It is going to be really handy to own, so do your best to buy one today. It will prove to be a good decision, and you will like the increased grip that it provides on many objects. Parting tools are among the most essential types of tools that you can purchase for your lathe. No matter what type of work you plan on doing with your lathe, it is likely that you will need one of these at some point. They are used to shorten things or cut off certain sections of stock. This will be crucial when you’re trying to make everything fit together properly. You need to be able to resize pieces as efficiently as possible. Having a good parting tool that you can use with your lathe is going to make everything as easy as it can be. It won’t take you too long to shorten your item and you will be able to work very accurately. This makes your time working with your lathe a lot more enjoyable, and it helps your project to turn out better. Parting tools are very common, so you will be able to buy one at most major hardware retailers. Just ensure that the model that you are buying is going to work well for your purposes and that it will work with your lathe. This is going to help you to get the most out of the experience, and it will save you from any potential frustrations. Making use of this parting tool is going to be a great help with your projects, so make sure to go out and buy one as soon as you can. Channeling tools are mostly used for cutting channels into stock. This is going to come into play when you need to have shallow grooves or grooves that are circular in nature. You will find that this is necessary to properly complete many projects, so it makes sense to have a channeling tool available to you. This won’t be the tool that you use on your lathe most often, but it is going to come into play from time to time. Getting a channeling tool is going to be easier when you purchase it in a set with other lathe tools. The toolset shown here is incredibly high-quality and is made out of high carbon tool steel. The tips of the tools are made using carbide, so these are going to work perfectly for your purposes. This will allow you to do a lot of different jobs, and you won’t have to worry about finding the right tool for the task. With a carbide tip, cutting channels into your stock will be as simple as it can possibly be. It pays to purchase a toolset that is going to work well for many years. These tools are made from rugged materials and will work fantastically in your lathe. Give them a shot, and you will definitely find that they are to your liking. One of the most crucial woodworking tools that you will have at your disposal is the woodworking chisel. These chisels are going to be helping you to do a lot of different things. This particular woodworking chisel set contains five different chisels that all serve different purposes. The chisels are ten inches long with the blades accounting for four inches of that length. 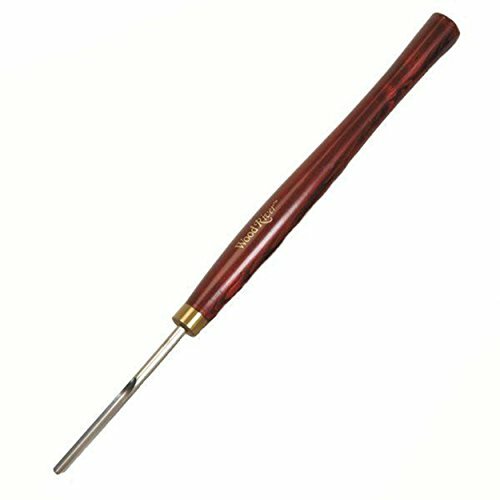 This is a really good buy if you are just beginning to buy the tools that you need for your lathe. These woodworking chisels come in a really nice wooden box so that you can keep them safe while they aren’t in use. You’ll be able to perform your woodworking tasks much easier when you have access to these tools. Whether you need a scraping tool or a parting tool, this set will have you covered. Making different wooden items will feel much simpler when you have a reliable set of woodworking chisels like this. Whether you are trying to craft a baseball bat, or if you are building your own table, these are definitely going to come in handy. You need the right tools for your lathe in order to make the job easy. Buying yourself a good set of woodworking chisels will be a boon to your efforts, and you won’t have to spend an exorbitant sum of money to get what you need. There is a skew chisel included in the woodworking chisel set above, but it is good to mention its purpose specifically. 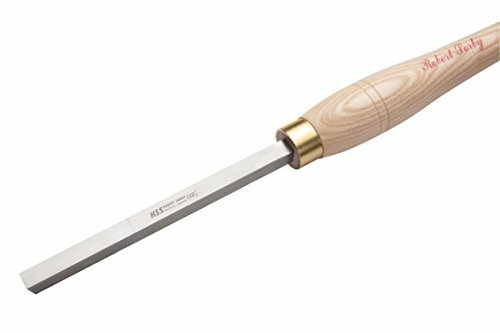 Skew chisels are what you use when you need to give a piece of wood a smooth finish. You will often find yourself with a rough piece of wood that needs those final touches to get it closer to completion. The skew chisel is going to prove invaluable to you as you seek to finish out your projects. You will find many different types of skew chisels on the market. They will come in various different shapes and sizes, so you may want to own a few of these in different styles. This will allow your skew chiseling to be more effective by being able to pick a chisel that is more appropriate for a specific task. 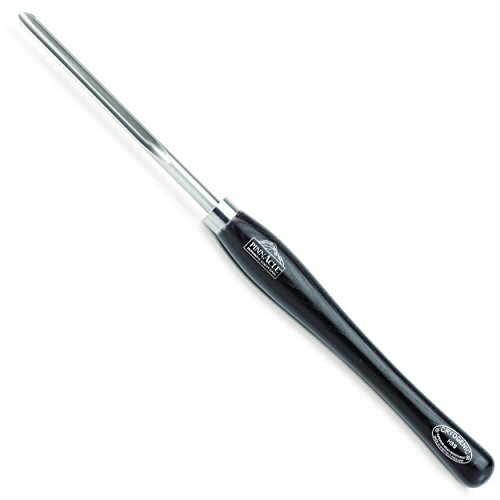 People usually buy skew chisels in a set with other chisel variations. These chisels here have been ergonomically crafted and are a real joy to use. The handles are made from a domestic ash wood, and they will stand the test of time for you. You can make use of the skew chisel in this set for many years. It even has a nice wooden carrying case so that you can carry it with you to different locations. Spindle gouges are another key tool that you are going to need to have access to. These spindle gouges differ from a normal chisel because of what they are used for. You will be making use of your spindle gouges in order to put coves into your pieces of wood. This is a term used in woodworking that basically means you will be forming grooves in the wood. This is a very important step, and you will need well-crafted spindle gouges in order to make the process as simple as it can be. You will actually find spindle gouges in sets with other woodworking chisel tools somewhat often. They can also be purchased by themselves, so just keep in mind what your exact needs are when you go out to purchase. 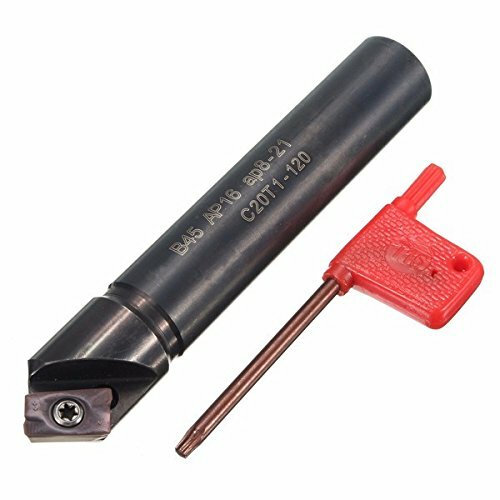 It may be more convenient for you to buy a spindle gouge in a set, rather than to look for one by itself. It should also be noted that these spindle gouges will come in different sizes. Depending on your needs, you may want your spindle gouge to be longer or shorter, depending on the needs of the project you’re taking on. It can be beneficial to own several spindle gouges, so you may want to have a few different variations available. These are readily available, so you won’t have any trouble tracking one down. Bowl gouges function similarly to their spindle gouge cousins, but they differ in many important ways. The most important thing to understand about bowl gouges is that they are used to make much deeper gouges in the wood. There are also a whole lot of different variations of bowl gouges on the market. You will find so many different styles and sizes, making this a very versatile tool set. Of course, you will need your bowl gouges to be very rigid in order to perform the tasks they’re meant for. It is imperative that you buy a finely crafted set of bowl gouges if you intend to use them very often. These tools are going to be used while hanging out from the tool rest, so you want to make sure everything is going to be safe. Buying high-quality tools will make the process go a lot smoother, so take your time to pick out good bowl gouges. The bowl gouge featured here has a nice European ash handle and a very sturdy design. It will be perfect for your purposes and is a highly recommended purchase. This blade has been treated to last you for a long time, so it will be very useful to you when you have important woodworking projects to complete. A good bowl gouge can seem a little pricey to some, but the quality is important, so it’s worthwhile to spend the money. 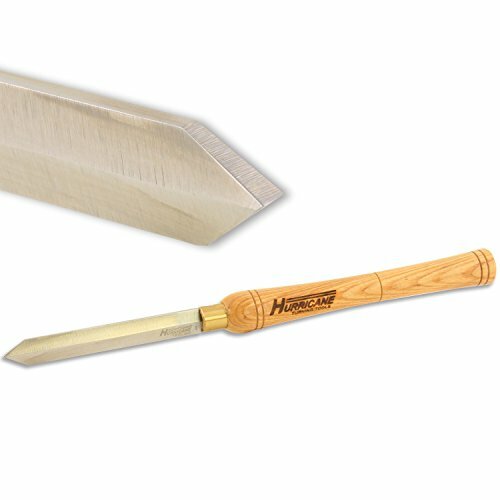 Scraping tools are going to play a very crucial role when you get towards the end of a woodworking project. You need these scrapers in order to be able to finish flat bottoms and convex sections of your work. This is going to be a really important aspect of the job as a whole, so you will want to have a good scraper to rely on. You will find scraping tools at most any hardware store and it’s fairly simple to use them on your lathe too. Interestingly, these scraper tools only have the tip of the blade come in contact with the wood. When your scraper is in good working conditions, it will produce shavings from the wood and you can use it to properly finish off your piece. Using a scraper to do complex work may take a little bit of practice, but once you get used to it, this is going to be one of your favorite parts of the process. It will be an essential part of your lathe that will allow you to make some really beautiful items. 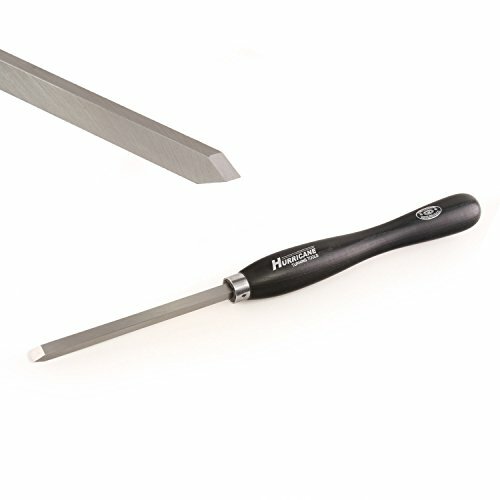 This scraper has a square end, but you can purchase scrapers with different types of ends. Which scraper is going to appeal to you the most is partially dependent on what job you are doing. The scraper being shown is going to be capable of doing great work for you as it features a solid handle and a strong blade. The tool section is six inches long, and the handle measures in at ten inches long. You will find that the wood beading and parting tool works differently than a normal parting tool in a few important ways. The essential thing to understand is that you use this to make cuts that are more shallow in comparison to the parting tool. It works well when you need to form beads, too. When you’re planning on adding convex details to your woodwork, it is imperative to have one of these tools at your disposal. Most people who are serious about woodworking will own one of these tools. You shouldn’t have any trouble finding what you need at most retailers where tools and tool bits are sold. This is a tool that is going to get a lot of use, and you will be happy to have it readily available. It will make many jobs a lot easier, and certain woodworking techniques wouldn’t be nearly as plausible without this. This wood beading and parting tool that is being shown here will prove very useful to you. It can be used to easily part off sections of the wood you are working on. Beading work will also be very simple with this high-quality tool. 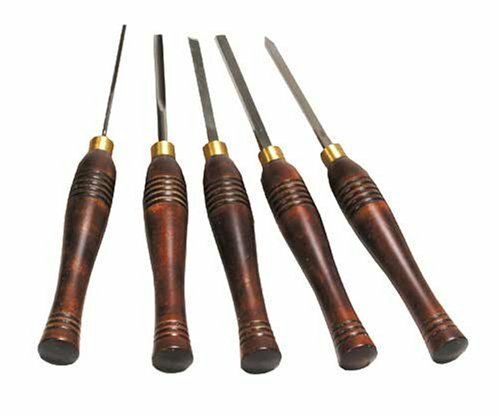 You can also find this tool being sold in sets with other woodturning tools, so keep that in mind if you are in need of other tools as well. Some people choose to add a grinding wheel onto their lathe to make things more convenient. This is going to be a great way to combine several woodturning and woodworking functions into one convenient tool. You will be able to use this tool to perform fine woodwork very easily. It is made to be very simple to use, and this makes it a convenient option for anyone who owns a lathe. Putting this grinding wheel onto your lathe is incredibly easy to do. It won’t take you a lot of time to get everything set up, and it feels very secure once it is on. You will be able to get to work right away, and it will wind up saving you time in most cases. This can actually be a more cost-effective way to go about certain tasks, as buying a grinding wheel can be more affordable than buying many different tools. Whatever your intentions for the grinding wheel are, you will be able to count on this to do great work for you. Being able to purchase this at an affordable price makes it an easy recommendation. There are those who enjoy the fine precision that many of the other tools have to offer, but the grinding wheel is something that you should consider. Look into the pros and cons of each, and then think about what your needs are before deciding what to buy.